“From where I can download GATE and IES previous years papers ? From where I can download technical papers other than GATE and IES ? 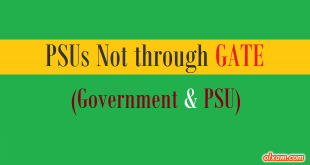 We are trying our level best to help you all GATE, IES, PSUs and other National and State level exam aspirants in their preparation. We are trying to provide all kind of technical exam preparation information at one place. So that candidates can prepare well for any exam for which he/she is preparing without wasting their precise time in searching any kind of information. Here on this forum you can find all queries solution related to the recruitment of any kind of technical exam, complete information related to any query from application form filling to final selection process, information about paper pattern, syllabus & reference books, guidance and many more advantage candidates are getting through this educational forum. 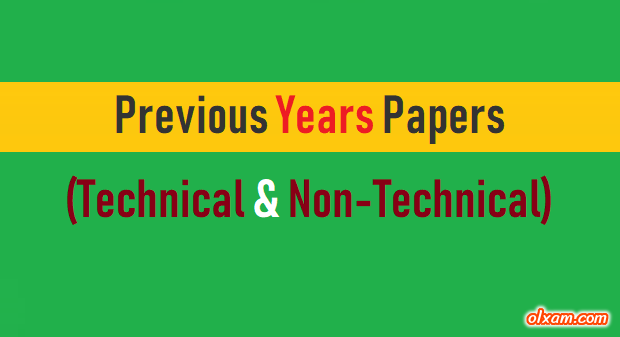 In this series of help and guidance we are now going to publish all competitive exam previous years papers. These papers will surely help any aspirant in their examination for which they are preparing. Candidate can download some technical exams previous years papers using table given below. Govt Job Notification – Click Here!